The plant sale involves a lot of helping hands. 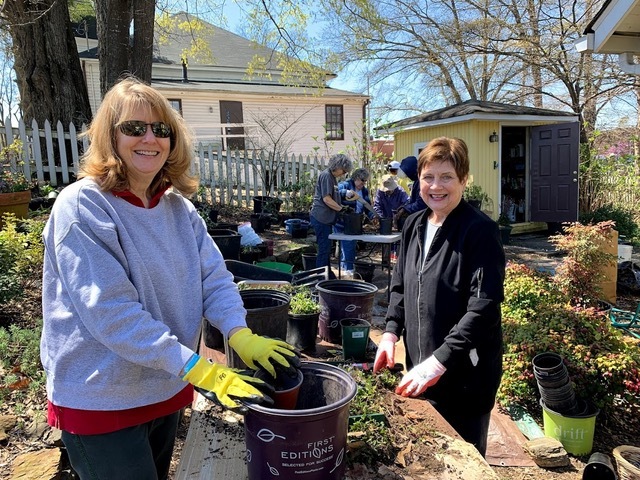 Members and donors keep themselves busy preparing planted pots long before the sale actually occurs. 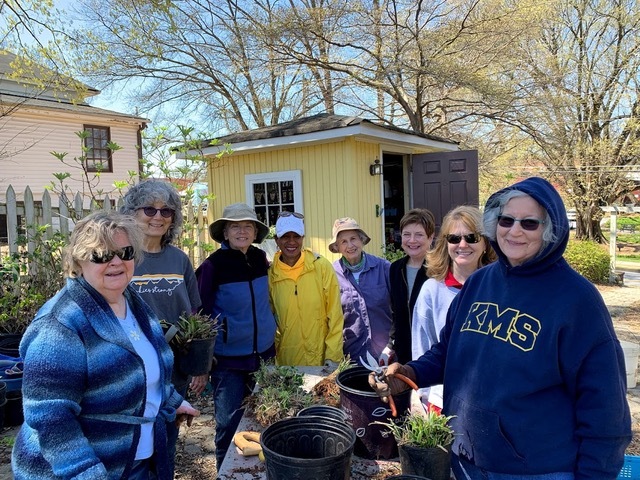 Please join us Friday and Saturday, April 12-13 9am to 5pm for this year's plant sale, brown bag raffle, programs, and new this year, Norcross Community Market. 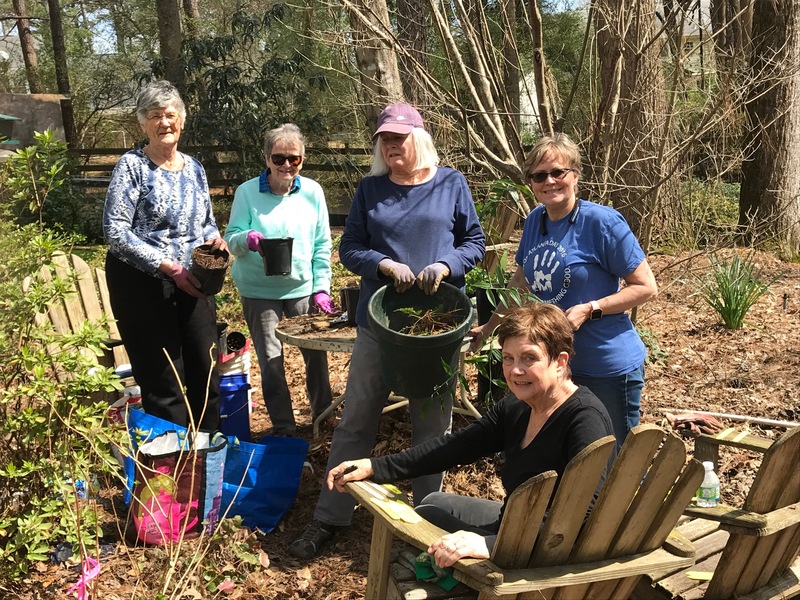 March 13, 2019: Offsite gathering - "The Harried Potters"
From left to right: Hazel Ringelstein, Saundy Kittle, Linda Toole, Linda DeMaris and seated Katie Bates. Today we potted up several pass-along plants for our April 12 & 13 Plant Sale. There’s more to dig & pot so please let Cathy or Leanne know of your availability. If you need containers/pots there are several at the cottage. 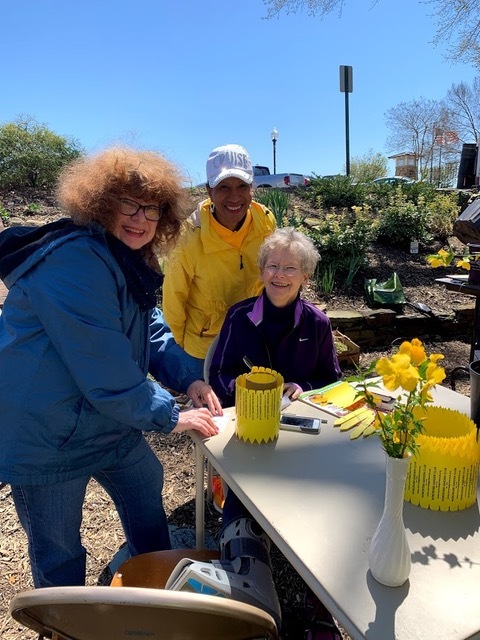 April 1st, Annandale Villagers are coming to Discovery Garden Park for Garden Therapy with members Deb Harris, Barbara Kohlhausen and Hazel Ringelstein a.k.a. “The Cookie Lady”. If you’re available at 10AM they’d love to have you join them. Cathy Nelmes is steering us in the right direction with a variety of great plants, sure to please customers, on April 12th and 13th. We have a few more days to push ourselves to get everything potted and looking good for the sale. GO TEAM! 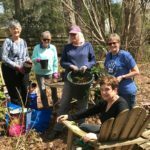 Read about the Norcross Garden Club and other great Dogwood District Garden Clubs happenings. 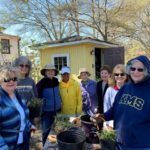 All hands are on deck with Sue Wyatt, Terrie Watch, Cathy Nelmes, Pearline Brown, Carol MacGregor, Katie Bates, Linda Doiron and Trudy Rudert. 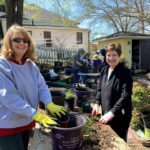 Linda Doiron and Katie Bates pot up several wonderful “wee” mazus plants, a purple flowering ground cover. 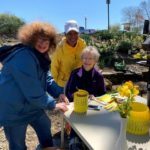 Left to right: Sharon Mix, Pearline Brown and Cathy Crumley identify plants with our bright yellow tags. There’s a job for everyone. Notice Cathy Crumley who was thrilled to be basking in the sun sporting her fancy boot. It’s no fun being stuck inside on a day like today.